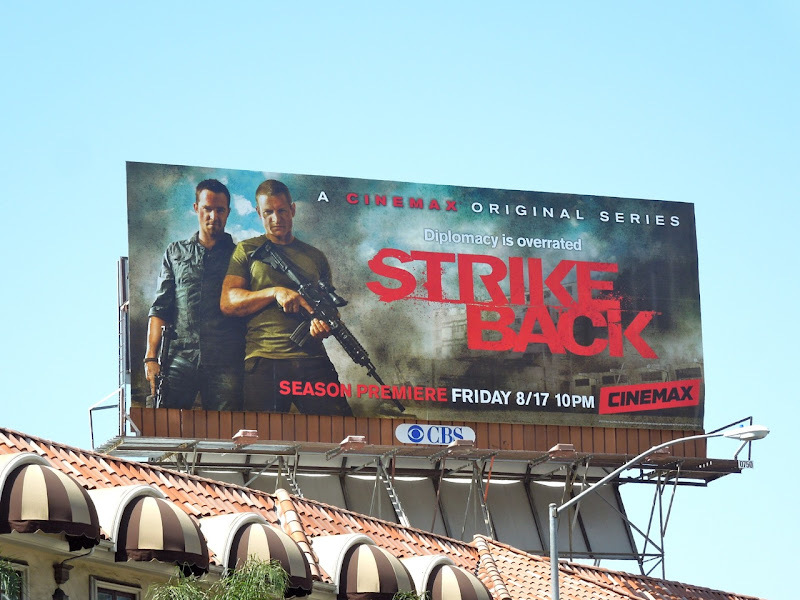 The boys from the top-secret intelligence agency Section 20 are back for a second season of Strike Back on Cinemax. 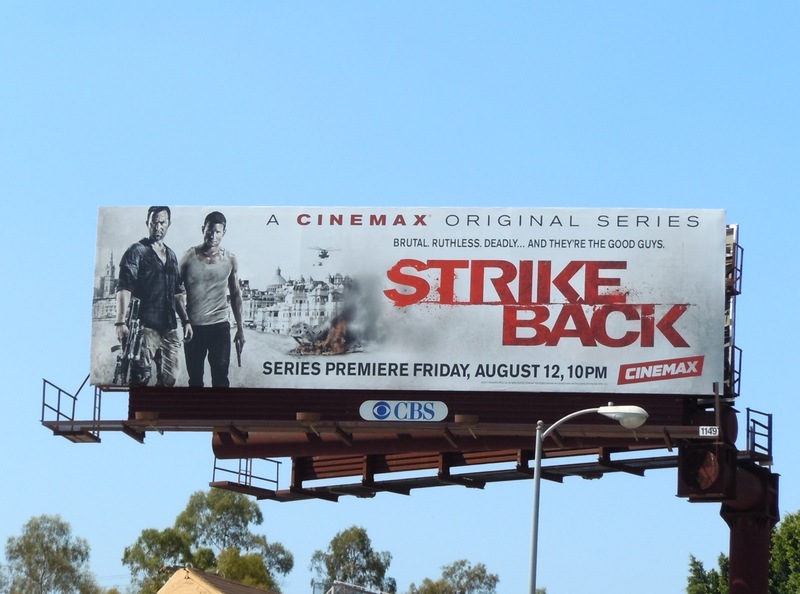 Here are the suitably tough and gritty billboards for the second and first seasons of the action thriller, although the show was originally spawned from a novel (which became a six-part British TV series) by best-selling author and former Special Air Service soldier Chris Ryan. 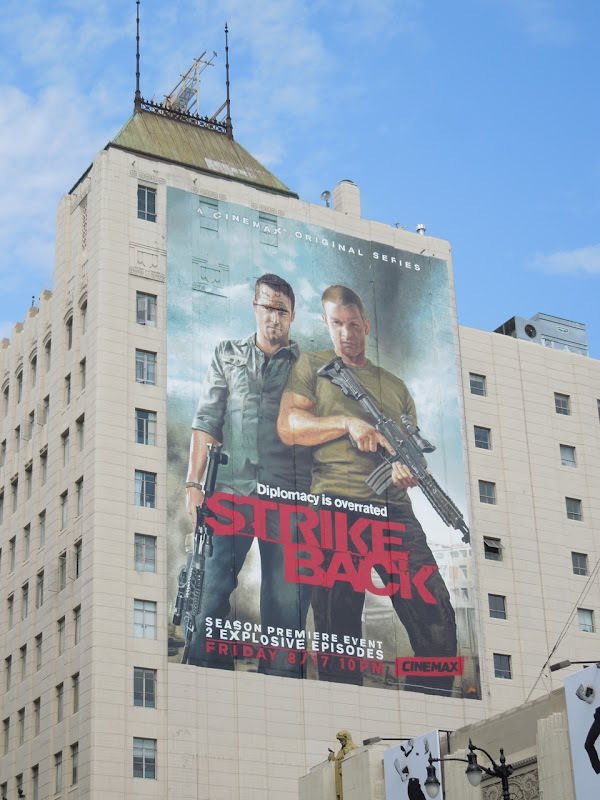 In this Cinemax original series, 'Damien Scott' is a former U.S. Delta Force commando played by Sullivan Stapleton and 'Sgt. 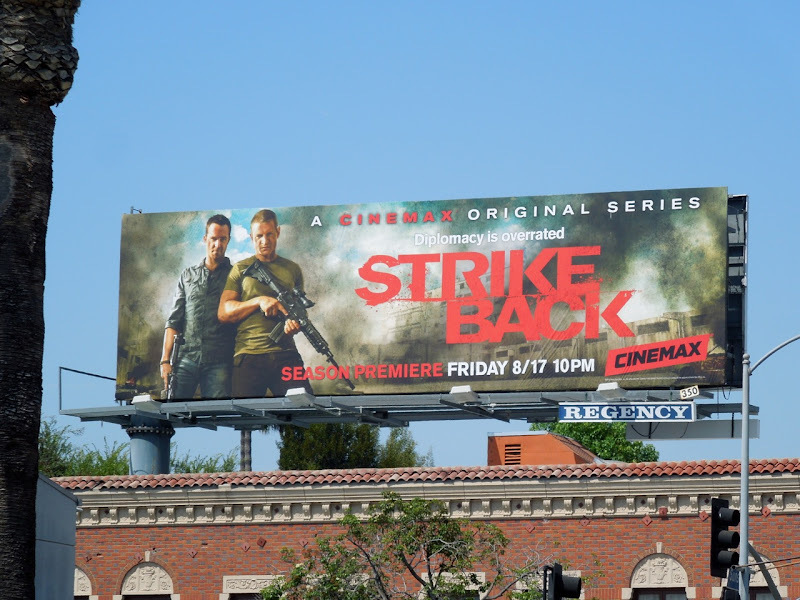 Michael Stonebridge' is a British counter-terrorism expert played by Philip Winchester, together they travel the globe to stop deadly terrorists and weapons of mass destruction. The striking (pardon the pun) red logo for the show certainly catches your eye on these billboards as you pass by. 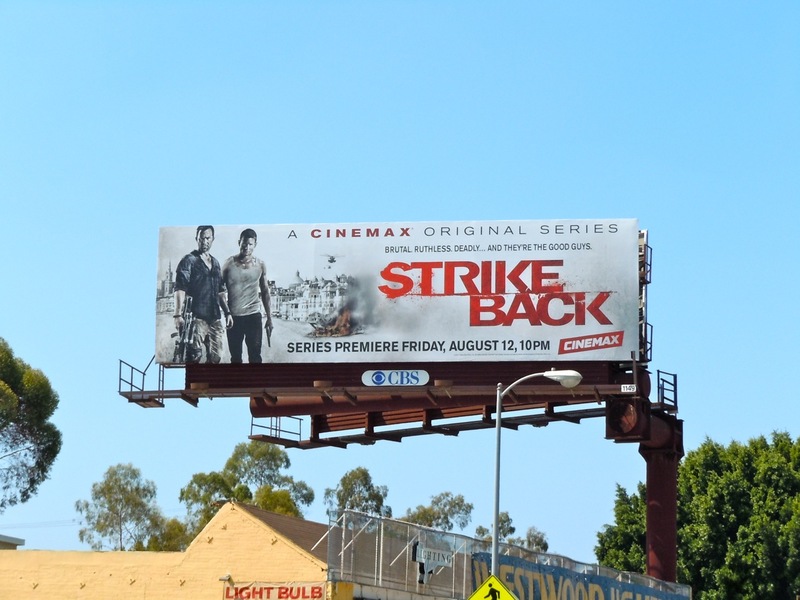 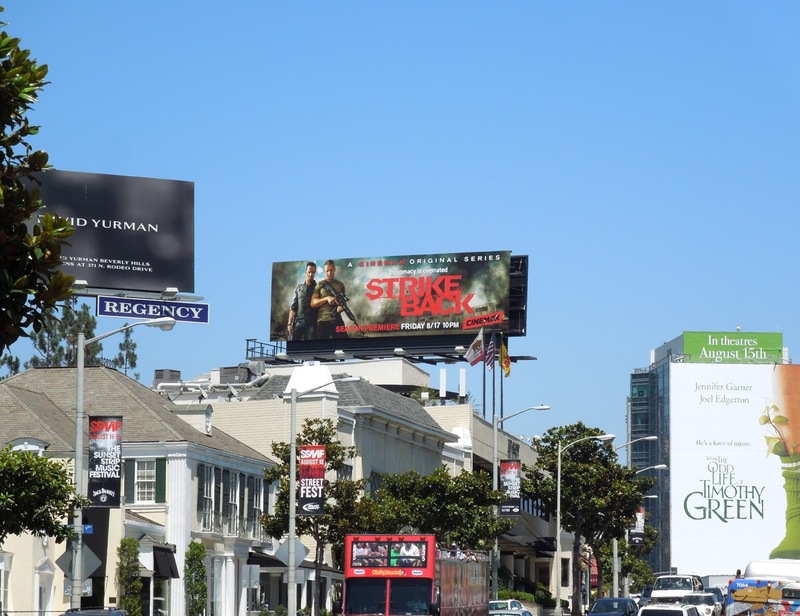 The season two billboards were snapped at multiple locations along Sunset Boulevard from July 24 through August 1, 2012, whilst the whiter series premiere billboard was spied last August 2011 around the streets of L.A. 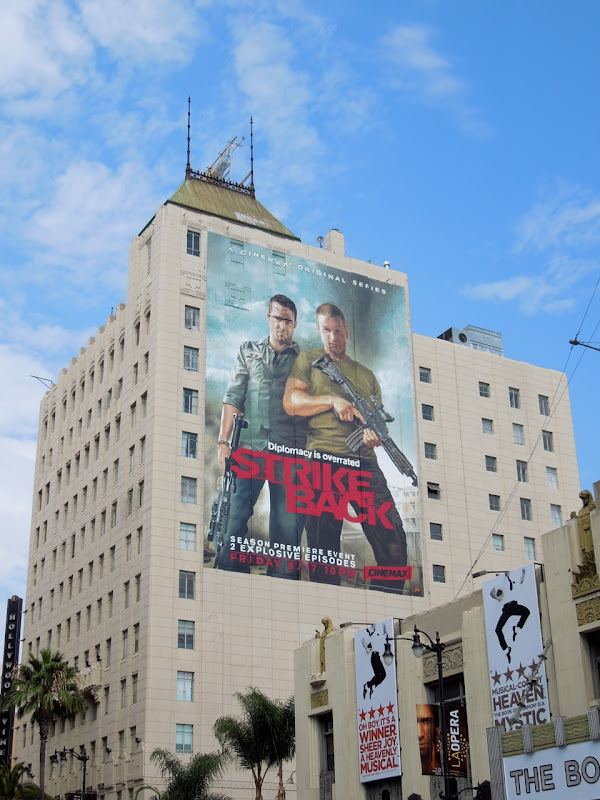 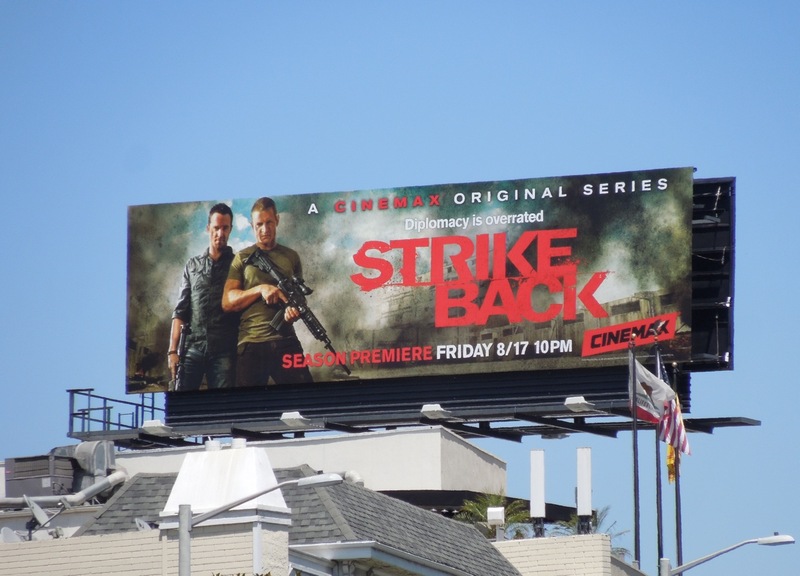 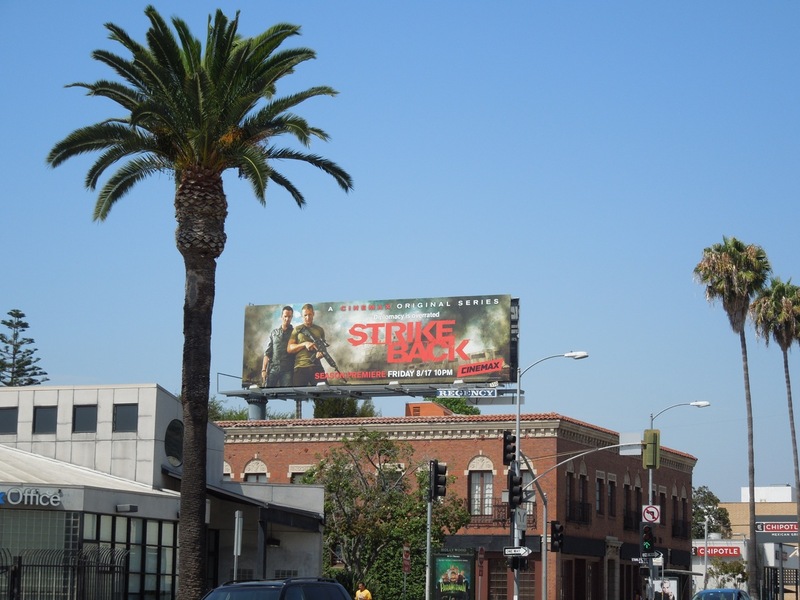 UPDATED: Here's a pretty spectacular giant-sized wall mural for the second season of Strike Back in the heart of Hollywood. 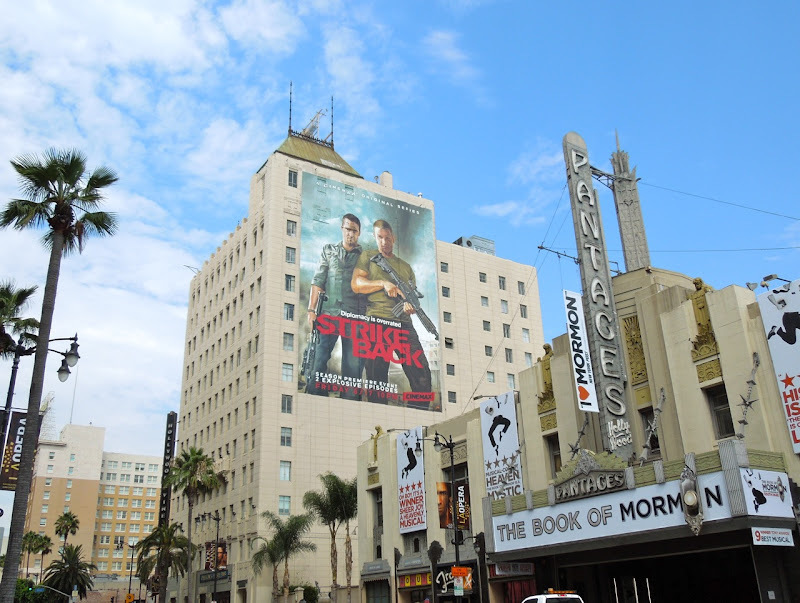 This arresting super-sized billboard was spied along Hollywood Boulevard towering over The Pantages Theatre on August 17, 2012.